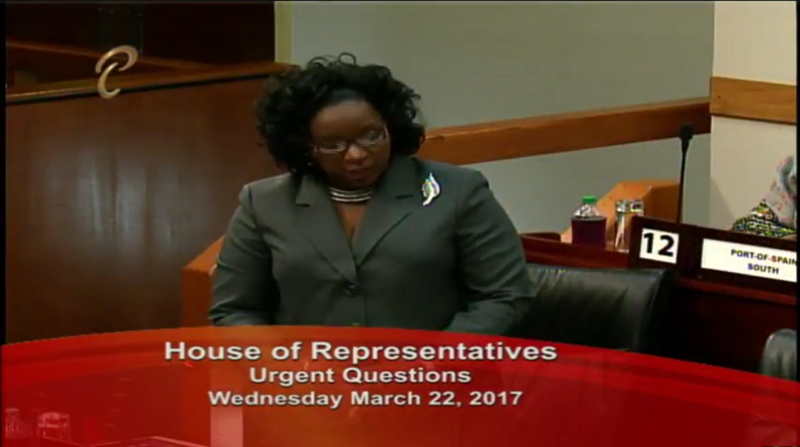 Social Development Minister Cherrie Ann Crichlow-Cockburn said in Parliament on Wednesday that the families, who were squatting illegally in buildings which were declared structurally unsound, are in the process of receiving counselling and other forms of assistance. She said arrangements were made for officers of the National Family Services Division to visit the families on Wednesday afternoon. Housing Minister Randal Mitchell explained that the families are not in fact residents and were illegally inhabiting the buildings, after the families, including elderly members and children, were evicted on Monday and Tuesday. He said a number of buildings were declared structurally unsound and therefore unfit for occupation. Dr Moonilal then asked when buildings four and five would be demolished as per a 2013 structural report. Mitchell said engineers have now been engaged to try to save the structures in order to provide housing for ‘those in need’. 25 families, including over 50 young children and babies, were evicted by the HDC after illegally occupying the buildings for several years. The families moved into the buildings and reportedly did their own structural and electrical repairs, without approval from the HDC. The buildings, HDC said, were deemed to be structurally unsafe and the illegal occupants have put themselves at risk by ignoring caution and danger signs. However, Dr Moonilal says the families now have nowhere to go.